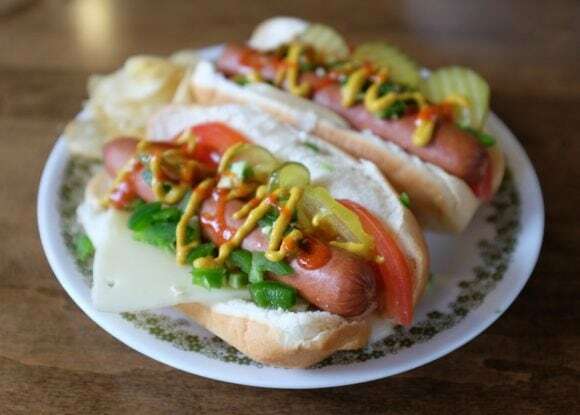 Went deluxe on today’s hot dogs. Hebrew Nationals, Jarlsberg cheese, onions, tomatoes, pickles, jalapeños, yellow mustard, and Sriracha. I usually don’t dress up my dogs like this, but we had leftover fixings from last night’s burgers. This was a really yummy hot dog!